Much like how the rakyat have let their voices be heard, vivo has certainly taken note of the customers' dissatisfaction on the V7. We think the V9 is an improvement, most particularly for its AI Face Beauty, AI HDR, respectable performance from the battery and processor and other said-features in this reviews. Moreover, if you got used to the sliding navigation gestures from the settings, this is probably the closest Android phone with an 'iPhone X' experience. 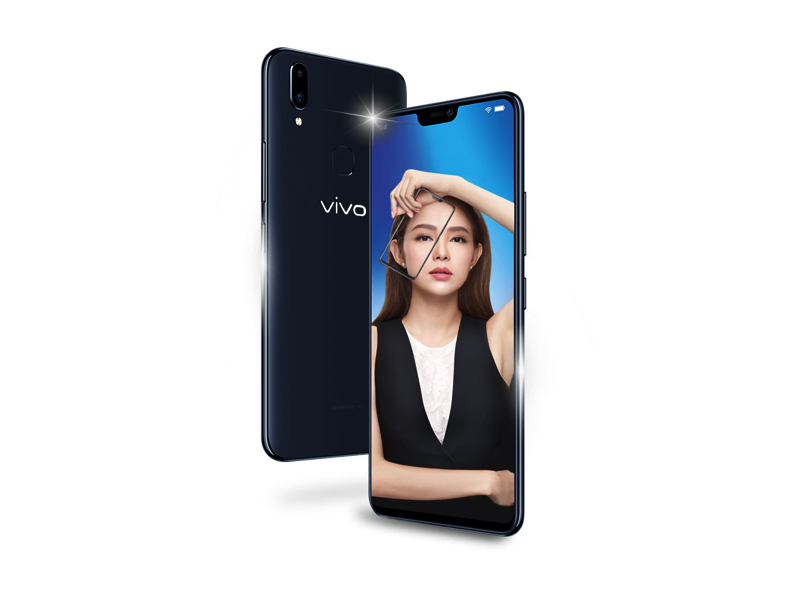 The Vivo V9 is currently only available in India for Rs. 23,990 (~$360). Despite the iPhone’s influence, it’s a very good midrange smartphone with some great qualities, but it’s also tough to recommend to U.S. buyers. Comparable alternatives like the Honor 7X are not only cheaper, but also sold in the U.S. If you’re able to easily get your hands on a Vivo V9, it isn’t a bad choice. Vivo has more exciting smartphone releases coming up for everyone else. Coming to the verdict, is the Vivo V9 is worth it for all that what it offers? To answer that, what makes Vivo V9 at least better in the segment are the FullScreen notched display and glass design, lightweight, mind-boggling selfies, a dual camera that’s capable of taking portraits, and the Android Oreo out-of-the-box. I hope it’s clear why I earlier mentioned the V9 fails to yield that X factor the company was hoping it would. That being said, the two features Vivo is primarily boasting about — the screen and the selfie camera do work as advertised. But the rest, unfortunately, falters. The rear camera is inconsistent, the software is in a desperate need of an overhaul, the performance is middling… you get the idea. At Rs 22,999, I certainly can not recommend the Vivo V9 to everyone but if you’re someone who strictly prioritizes selfies and a unique design, you can consider it. Although I would suggest taking a look at Motorola’s Moto X4 or even the Xiaomi Redmi 5 Pro, both of which are significantly more well-balanced phones. Vivo V9 cannot compete with the likes of Samsung Galaxy S9 and iPhone X, and no one expected it to. At Rs 22,990, Vivo V9 targets the masses. The handset should appeal to anyone who is looking for a well-rounded smartphone that is equipped to handle anything. Vivo V9 competes with the Oppo F7, Moto X4, and Honor 8 Pro. The Vivo V9, at Rs 22,990, is all about the style. That's not to say that it's lacking on substance. The V9 looks good, has a neat display, metes out good performance and has capable camera credentials. Having said that, there's still room for improvement here. It could have done with a sturdier build. It could have done with some more power under the hood. And it could have done with a bigger battery while at it. Vivo V9 is a really good handset that looks great, is light weight, performance is impressive and battery life is decent enough. Camera quality is excellent and you get a separate micro SD card slot. A very good option to consider if you are looking for a Notch Style smartphone. 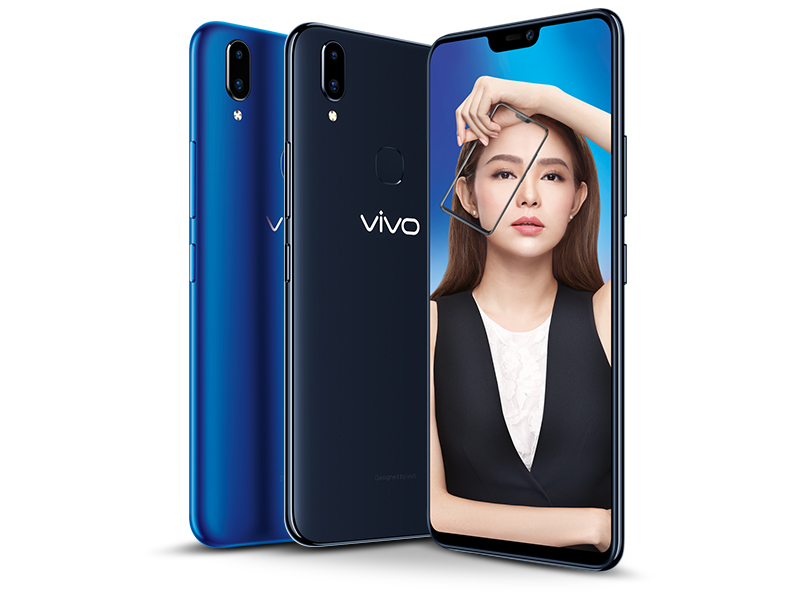 So it's finally here, the vivo V9 was unveiled and believe it or not, it's actually Malaysia's first device with a 19:9 screen-to-body aspect ratio to be sold commercially for RM1399. As premium as it looks, this device is actually a mid-range tier with a Qualcomm Snapdragon 626, 4GB + 64GB memory capacity, a 6.3-inch display in Full HD+ resolution, 3260mAh battery, a dual rear camera (16MP + 5MP), a mega 24MP front camera, and multiple A.I. features pre-installed inside. Here's our first impression of the phone in the hands-on video below. As far as the design is concerned, it definitely gets attention, the FullView display looks amazing and its glass body sets it apart from the competition. Android Oreo ensures that it has all the latest updates and patches. The camera took decent shots, the AI Bokeh mode enables you to add the blur effect in the background while the selfies turn out to be similar to that of Vivo V7. Vivo just announced its latest flagship, the Vivo V9 surprisingly with a notch at the top and almost bezel-less display. Also being a selfie phone with 24 MP front camera, it’s gorgeously looking glass body and dual cameras makes the phone incredible. Here’s the Vivo V9. There is 3260 mAh non-removable battery, fast charging is not supported. Rear camera is 16MP + 5MP and front camera is 24MP. Wait for the full review wherein I will cover the performance, heating, gaming, camera quality with sample and battery life. Besides the software enhancements, the V9 boasts of a Qualcomm Snapdragon 626 octa-core processor, 4GB of RAM and 64GB of onboard storage, which puts this phone in the midrange bracket. Pricing has not been revealed, but you'll likely be able to buy this in China. Given that my hands-on unit sports Hong Kong localization and a retail sticker from the Philippines, it's likely the V9 will head to other markets in the region pretty soon. Positive: Excellent display; good selfie camera; support both dual SIM and microSD slot; good autonomy. Negative: High price; plastic case; no NFC; slow charging. Positive: Beautiful design; solid workmanship; good price; decent cameras. Positive: Good price; nice design; excellent selfie camera. Positive: Good price; great built quality; nice selfie camera; good display. Negative: No NFC; no quick charging; plastic case. Positive: Beautiful design; solid workmanship; good price; decent hardware. Positive: Big screen; nice display; good selfie camera; decent performance. Negative: Relatively high price; mediocre design. Positive: Good price; impressive selfie camera; nice design; good display; decent hardware; nice speakers. Positive: Premium design; metal case; excellent cameras; decent hardware. Negative: No USB-C. Positive: Large screen; nice performance; powerful processor; good cameras. Negative: No wireless charging; no NFC. 74.36%: This rating is bad. Most notebooks are better rated. This is not a recommendation for purchase.